It’s week three of our month-long Black Music Month celebration, and today brings us to one of my favorite vocalists of all time, the incomparable Phyllis Hyman. Born on July 6, 1949 in Philadelphia, Pennsylvania, this multifaceted songstress was born with all of the natural gifts needed to become a superstar, except for sadly, the right team to push her sound correctly. Hyman’s musical inclinations started at a young age, with her performing in various bands and choirs throughout her educational career. 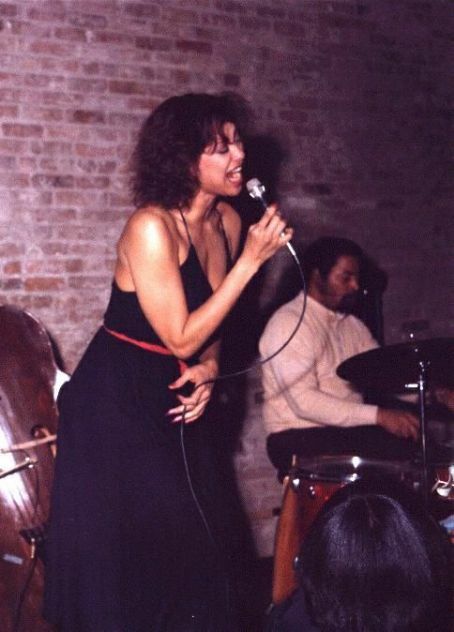 Upon graduating from high school, Hyman founded her own band, Phyllis Hyman and the P/H Factor, and toured locally around her native Pennsylvania until moving to New York City to be closer to the music industry. Phyllis Hyman and The P/H Factor, 1975. After arriving in New York, Hyman began what would be a longterm and fruitful partnership with music producer Norman Connors. Connors, who became familiar with Hyman via her popular nightclub act, was introduced to her by fellow musician Richard Clay. It was this meeting, that resulted in her recording a cover of the classic Stylistics song “Betcha By Golly Wow”, a version that I personally believe is superior to the original. After featuring on Connors’ album in 1976, Hyman attained radio success with frequent duet partner Michael Henderson on the song “We Both Need Each Other”, peaking at number 23 on Billboard’s Black Singles chart. Following the success of the single, Hyman signed to legendary independent label, Buddha Records, and released her self-titled debut album the following year. Following the acquisition of Buddha Records by Arista in 1978, Hyman’s talents were now under the tutelage of music industry legend, Clive Davis. Davis, who’d already been an integral part of the careers of singers Janis Joplin, Bette Midler, and bands Earth Wind and Fire, and Aerosmith, intended for Hyman to become a pop crossover success. After enlisting Barry Manilow to pen her next studio effort, Hyman released her third album, Somewhere in My Lifetime, in 1979. Though the album was a gorgeous mix of mid tempo songs and ballads, the record failed to resonate with pop audiences. Hyman’s follow-up album, You Know How to Love Me, found Hyman paired with R&B producers James Mtume and Reggie Lucas. The lead single of the same name, peaked at number 12 on the Black Singles Chart, and is considered one of the great disco tracks of the late 1970’s. The album itself sold 400,000 copies, which was the most Hyman had sold at that point, but still disappointed the label heads at Arista. The 1980s saw Hyman expand her talents into other forums of the entertainment world, culminating in her star-making turn in the Broadway revival of Duke Ellington’s Sophisticated Ladies, alongside Gregory Hines from 1981 to 1983. For her work in Sophisticated Ladies, Hyman was nominated for a Tony Award for Best Newcomer, and garnered a new audience of fans that were captivated by Hyman’s dynamic voice and stunning beauty. Simultaneously, Hyman found herself with a top 10 R&B hit with the song “Can’t We Fall in Love Again”, with Michael Henderson. In the time that Hyman spent doing Broadway, Davis’ attentions were shifted to developing Arista newcomer Whitney Houston, and after a fractious seven years, Arista chose to drop Hyman from the label in 1985. Throughout the latter part of the 1980s to the early 1990s, Hyman divorced husband and longtime manager Larry Alexander, and like so many others of her time, struggled with a dependency on cocaine, and alcohol. Diagnosed with Bipolar II disorder, Hyman would begin a cycle of stints in rehab, followed by periods of sobriety and relapse that would plague her for the rest of her life. It was also during this time, that Hyman produced some of the most emotive and personal work of her career. 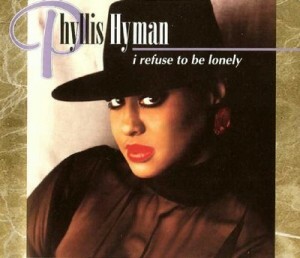 After signing with Philadelphia International Records in 1986, Hyman released Living All Alone the same year, the title track in which, became one of her best known songs. “Living All Alone” became a staple in her live performances, which frequently featured Hyman’s ability to whistle the entirety of the song’s musical break. 1991’s Prime of My Life was Hyman’s first studio album in five years, and featured Hyman’s sole pop hit, “Don’t Wanna Change the World”, which peaked at number one on the R&B charts, and 68 on the Hot 100. The album itself went gold, and was the final album to be released during Hyman’s lifetime. Throughout 1992 to 1994, Hyman was deeply enveloped in drug abuse after the deaths of both of her parents, and being ravaged by the psychological effects of Bipolar II. In spite of her troubles, Hyman went on to craft her final album of new material, the hauntingly titled, I Refuse to Be Lonely in early 1995. On June 30, 1995, after failing to arrive at a sound check for a show she was scheduled to perform at the Apollo Theater, Phyllis Hyman was found dead in her apartment; the victim of an apparent suicide, aged 45. After experiencing several delays that reportedly had a negative impact on Hyman’s mental health in her final months, I Refuse to Be Lonely was posthumously released in November of 1995. Like many of the singles throughout her career, it was the title track that proved to be a standout on the album, and tragically, turned out to be the swan song of her career. Though the life and career of Phyllis Hyman experienced both triumph and tragedy, what should be remembered most is her enigmatic and witty stage persona, majestic voice, and captivating beauty, along with an expansive musical catalog of soul touching work. If you’ve never been familiar with her, I highly encourage you to check out her greatest hits collection down below.